Video marketing, it can be intimidating but cannot be ignored. The modern fitness industry loves video. It helps build brands and heightens awareness of new workouts and trends. Moreover, video has become an integral part of the buying process as Forbes reports: “90% of customers report that product videos help them make purchasing decisions.” If you haven’t already, it’s time to add video content to your gym or studio’s marketing strategy. Looking for your first step in video marketing? It starts with a familiar name: YouTube. 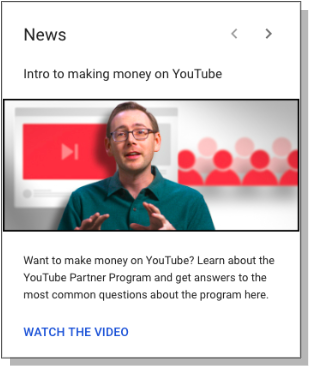 Why Should I Use YouTube For Video Marketing? YouTube is the second largest website. Second! It boasts over one billion users. Billion! Not to mention, “YouTube, on mobile alone, reaches more people in the US audience than any other network” (YouTube.com). Okay, I’ll lay off the numbers, but those stats make a clear argument for choosing YouTube to host your video marketing strategy. Its online reach makes it a universally known platform, bringing a sense of familiarity to your content when a viewer encounters it. What elements of my business do I want to promote? The tangible elements like the facilities, the staff, the training and services? Or intangible elements like your club culture, its welcoming environment, or the camaraderie? What tone do I want to strike for my business? Should your video content make viewers see your gym or studio as fun? High energy? Relaxing? Competitive? Social? What do I hope to accomplish with my video content? Convert a lead into a sale? Raise brand awareness? Promote new services or amenities? How Do I Create Video Content? The best part of video production is that it can be as simple or complex as you want to make it. There is no right style, budget, or equipment list. Check out our previous blog, Fitness Video Marketing: Six Basic Questions to Ask Before You Film, for a comprehensive rundown of what you’ll need and where you can find it to begin creating video content. How Do Create My Own Channel? Getting started is super easy! The one requirement is a Gmail account. If you don’t have one already, quickly create a Gmail account for your gym or studio and then navigate into YouTube. Sign into your Gmail account in the top right corner. 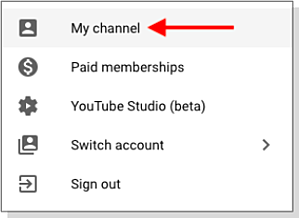 Then choose “My Channel” from the drop-down menu. 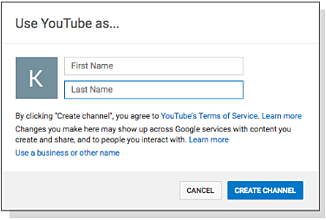 You’ll be prompted to follow a few steps to set up your new YouTube channel. How Do I Manage My YouTube Channel? The video-hosting platform has recently released a redesigned YouTube Studio feature, which gives you great control over your channel and the video content you post. They included a dashboard with helpful panels like “New Ideas For You”, “News From YouTube”, and “Known YouTube Issues” updating you on problems that may affect your channel. But the best part is that YouTube Studio offers a ton of video metrics like your channels total watch time, number of views for the past 30 days, new subscribers, and a whole lot more. Metrics are extremely important because they impact your channel and therefore your business’s SEO. Channel keywords are designed to give YouTube an understanding of your channel’s content and its purpose. Ensure you enter channel keywords which relate directly and specifically to your business. Engagement with your video through shares, likes, dislikes, and comments affect how YouTube perceives your content. The more engagement a video receives, the more YouTube perceives it as useful therefore pushing it to the top of searches. Video titles should include keywords which are likely to be searched by your targeted viewers. One strategy is to make titles a question your prospects might be asking like “what is vinyasa flow yoga” or “proper form for a rack squat”. Be sure to keep titles under 50 characters! Average watch time of your video effects how YouTube perceives it. 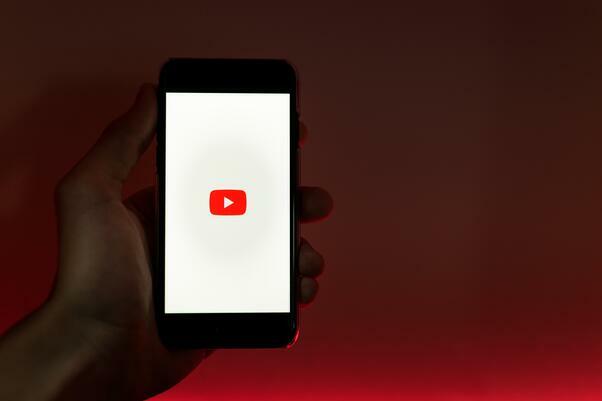 YouTube perceives videos with more watch time as more valuable and pushes them to the top of searches. Looking for more marketing resources? Download our How-To Advertising Guide to harness more awesome marketing approaches!